Inside Cheerleading is THE magazine for Today's Cheerleader! In each issue of iC, we choose one standout athlete to appear on our Junior Cheer page! We're on the hunt for up-and-coming indivuduals who excel in and out of cheerleading. 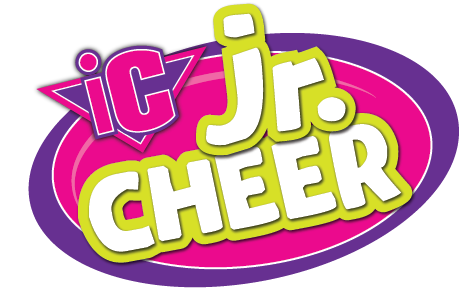 Each Junior Cheer selection receives a feature in the magazine that will spotlight their skills, extra-curricular activities, awards and fun-filled facts! If you think you have what it takes to make it in the pages of iC, fill out the form below and tell us why we should select you! What are you waiting for? *You must be 13 years old or younger to apply for iC's Junior Cheer. If you are over 13, please fill out our Today's Cheerleader Application . See below for additional rules. Give us information about your team/program! Please be sure all photos submitted are high resolution, in-focus, and between 150k - 15MB. You will not be able to submit this form if one or more of your images do not meet the file size requirements. Submission received without usable photos will not be considered for publication. If your photos were taken by a professional photographer, please site the photographer/studio name here. If you recieve an error message after hitting the "Submit" button, please read the error screen carefully. It will display the exact reason why your form is unable to be submitted. Most common errors are either missed fields or photos that do not meet our print specifications. We do not accept applications that contain unusable photos. Please make sure all our your images meet the requirements. *You must be 13 years of age or younger to apply for the iC's Junior Cheer Spotlight and must be a current subscriber of Inside Cheerleading magazine to be featured. The Junior Cheer Spotlight is not a contest or a sweepstakes; selections are based on each applicant's merits and are made at the discretion of the Inside Cheerleading editorial team. Selections are final. Entries may not be received more than one each year. Upon being chosen as the Junior Cheer Spotlight, candidates agree to refrain from appearing on the cover of any cheer-related catalogs, magazines, and/or promotional materials for twelve months from the issue date. Being selected as a Junior Cheer Spotlight does not guarantee appearing on the cover of Inside Cheerleading. Applying for the Junior Cheer Spotlight program registers you to receive exclusive news and offers from Inside Cheerleading and also enters you to be considered for additional programs and other editorial opportunities.